Designed for iPhone 4 4G 4S. Dripping Water Drops Effect with Transitional Color Change, very nice! Specialized technology to make perfect cover that offers superior looking and feeling. Designed and tested to be "flash-friendly". Durable, comfortable, hard plastic material cover. 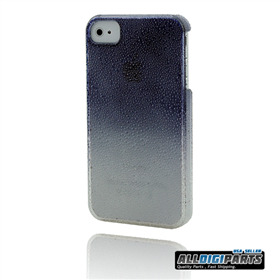 Protected from external dust and scratches in this coated plastic clip on case accessory. Extremely tough, durable case molds perfectly to your iPhone's shape without compromising usability. Note:Accessory ONLY, iPhone 4/4S not included!